The talk will be followed by a wine reception. Copies of the book will be available to purchase from the publisher. 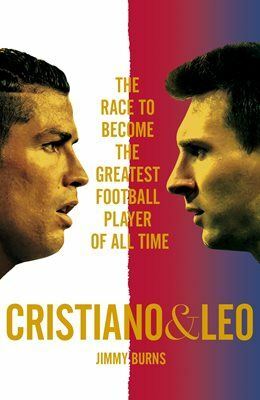 Join us for the launch of author and journalist Jimmy Burns’ latest book: Cristiano and Leo: The Race to Become the Greatest Football Player of All Times, timed to come out just before the World Cup starts on 14th June. Between them, Ronaldo and Messi have scored over a thousand goals, won the Ballon d’Or nine times and redefined modern football. They are also locked in an intense personal rivalry previously unseen in football and that has dominated the sport for the past decade. In conversation with a sports journalist, Jimmy Burns will present his book, essential to understanding the defining players of a generation. Photos will be taken at this event. If you wish not to be photographed please inform an event organiser. If you would like to purchase a ticket please click here.